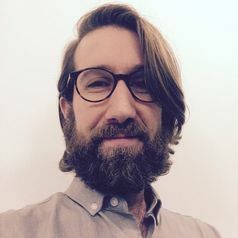 Daniel Berliner is an Assistant Professor of Political Science and Public Policy in the Department of Government at the London School of Economics. He completed his Ph.D. at the University of Washington, Seattle in 2012, and subsequently was a Postdoctoral Fellow at Freie Universität Berlin. From 2013 to 2015 he was an Assistant Professor in the Department of Political Science at the University of Minnesota, and from 2015 to 2017 an Assistant Professor in the School of Politics and Global Studies at Arizona State University. His research has appeared in journals including the American Political Science Review, The Journal of Politics, International Studies Quarterly, Governance, Policy Studies Journal, and World Development. His primary research focuses on the politics of transparency and accountability reforms around the world. His work on access to information laws has investigated the successes and failures of institutional reforms, both across countries and at state and local levels in Mexico and South Africa. He is currently studying the global and domestic politics of movements for transparency and open government, through institutions such as the Open Government Partnership, as well as using computational social science tools to study accountability in citizen-government interactions. In other research, he has studied the governance of global supply chains, including several articles and a book on labor standards, and several projects studying the global spread of environmental and corporate social responsibility initiatives, and assessing their potential impact.